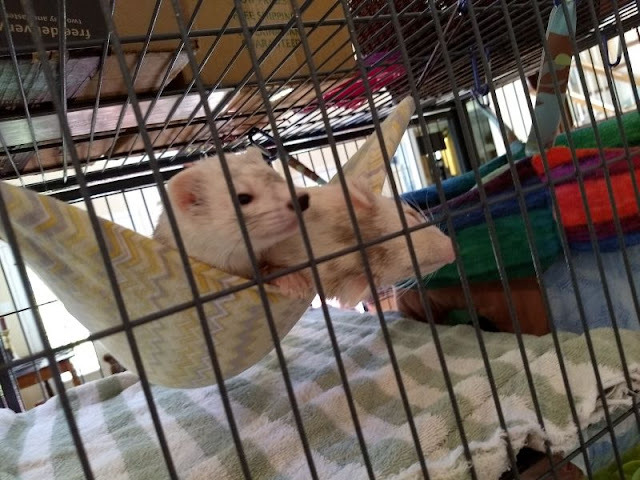 Sweet ferrets need warm cuddly sleeping quarters! 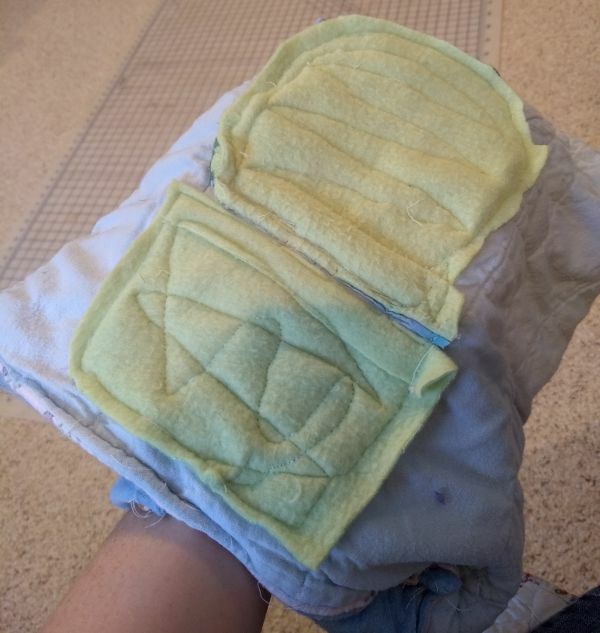 They’re lucky you are a Sew-er! Sweet baby quilt! I especially like the little gowns! How adorable! I’m sure they’ll come in very handy. It seems you must never sleep. 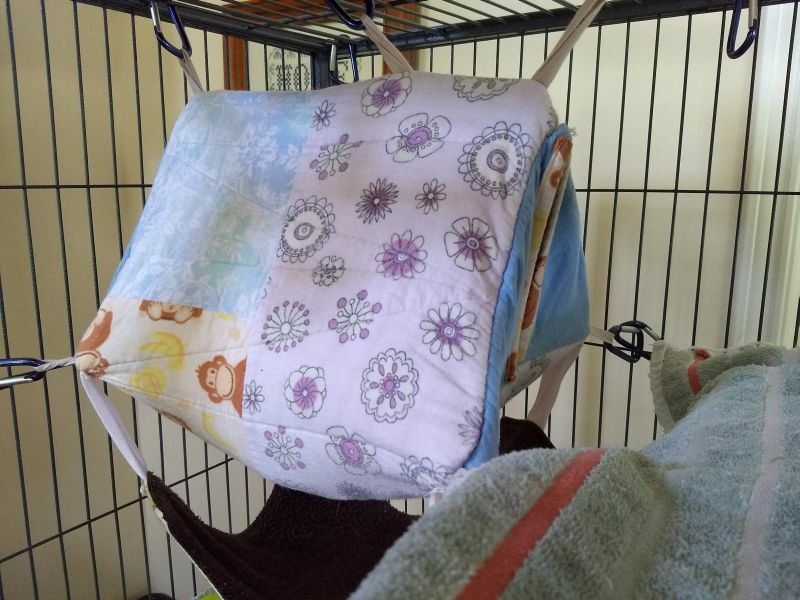 Sewing CiL blocks, baby quilts and gowns, fixing ferret beds and a full time job! Oh My! He just wanted to see the monkey he knew was hiding underneath his bedding! Rey looks so content on those Hunter's Star Blocks. 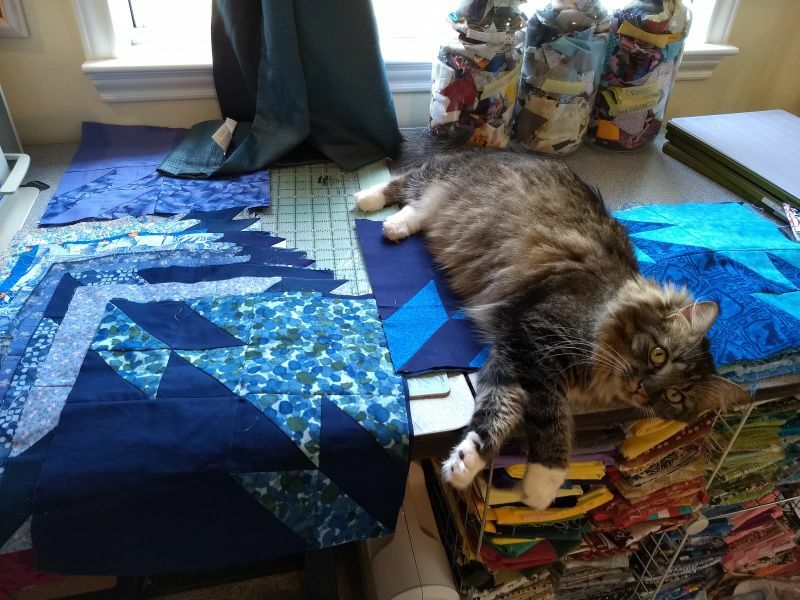 You've got good help there. 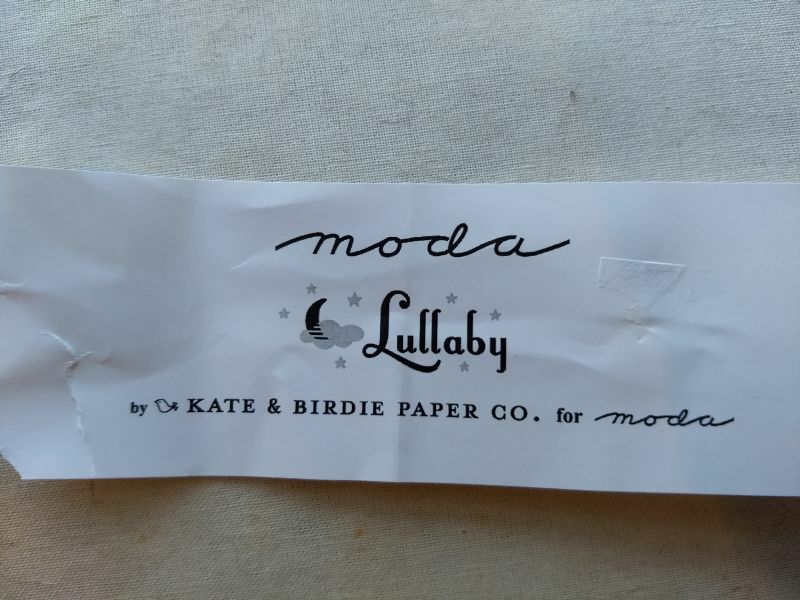 Oh, the baby items are so sweet. 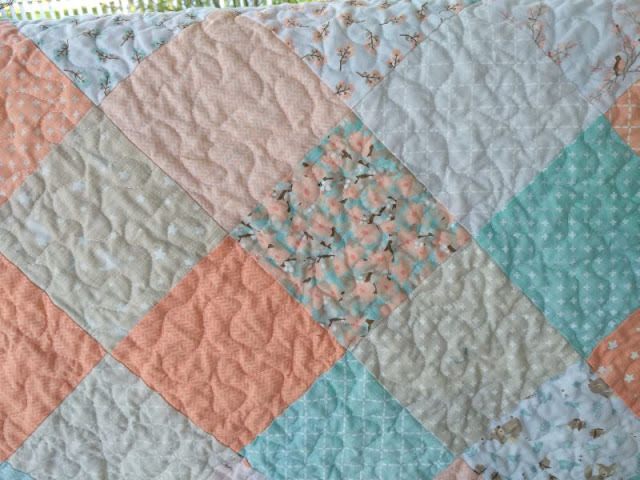 I love the soft colors of the quilt. 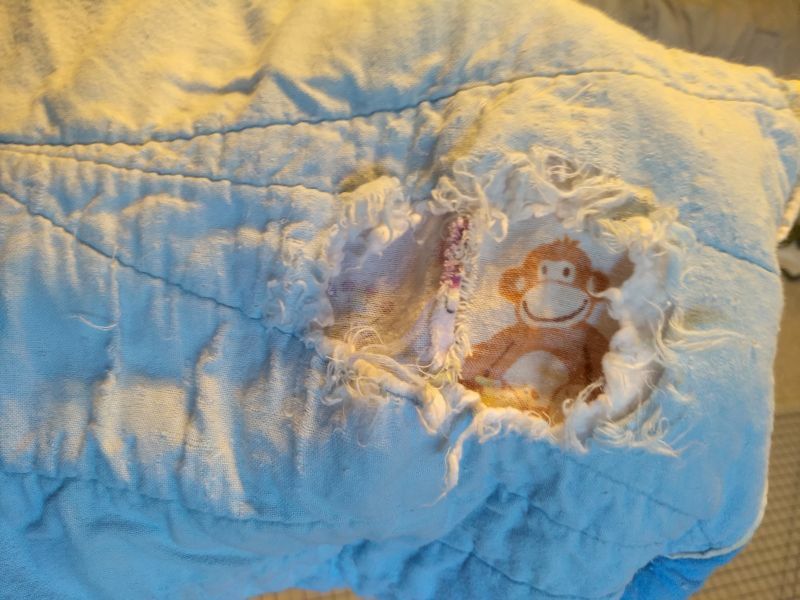 Looks like you don't have enough sewing to do...:) I'm sure Bubba Bear loves the new patch job on his tent bed. Those other two look like they are searching for some trouble to get into. The blocks for Briawna are a bit challenging for me (color-wise) but are fun to make. 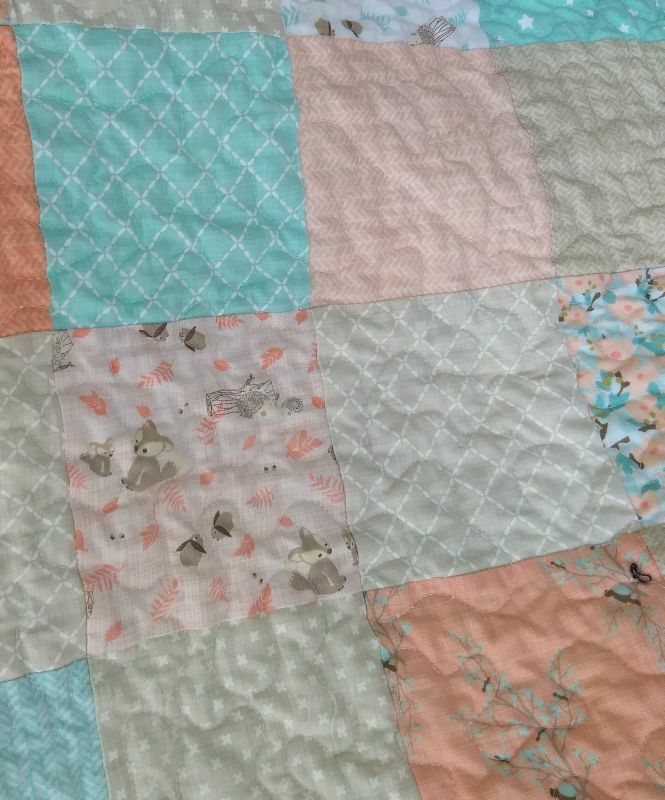 Hope she gets a lot for her quilts during this time. You really had a productive week! 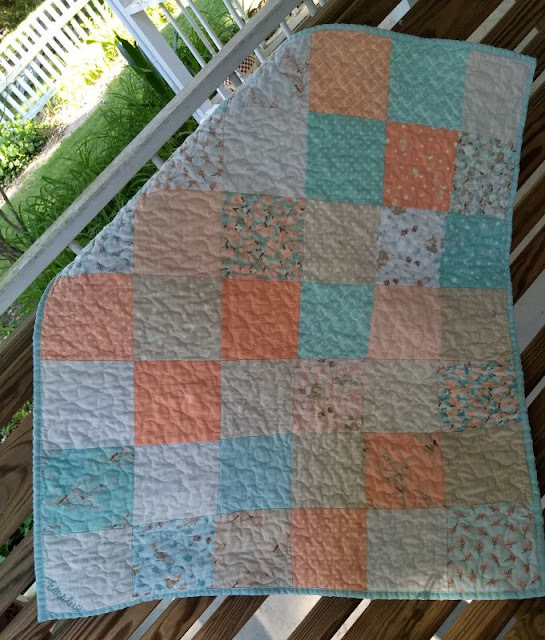 I am sure the quilt and gowns will bring the baby much comfort. 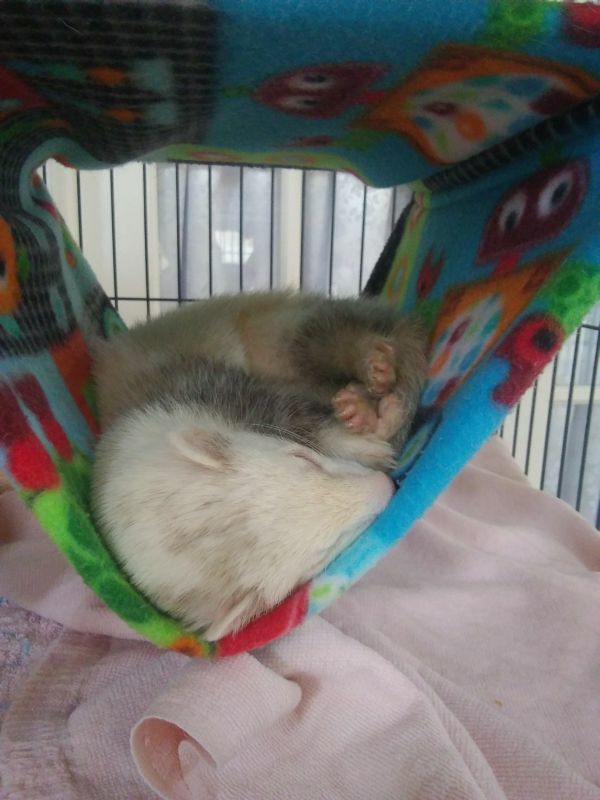 Your ferret looks very comfortable and you have a very sweet kitty. Love the white boots. Looks like lots going on. Our granddaughter thinks the world of her ferret. 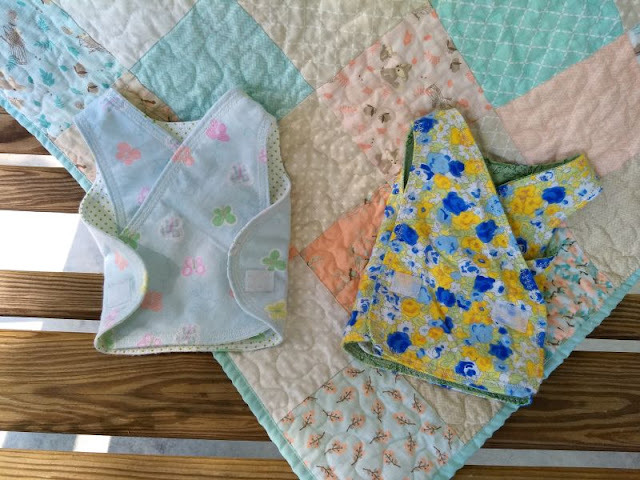 Love the preemie quilt and clothing. So sweet! Those little NICU garments are so sweet, and the baby quilt turned out very well. I love your ferrets, such sweet things. I hope they don't keep you awake at night. Fun projects. The little NICU gowns are darling.